The long night of recession seems to be over. Top Russian executives brace for hefty multi-million dollar pay package, outpacing their European colleagues. Research shows that Russian bonuses are outpacing those in Western countries. After reviewing more than half of Europe’s top 500 companies by market capitalisation, Hay Group, a global management and consulting firm, found that executive compensation packages rose by a median 6 pc in 2010, whereas the total cash increase to Russian executives was 19%. 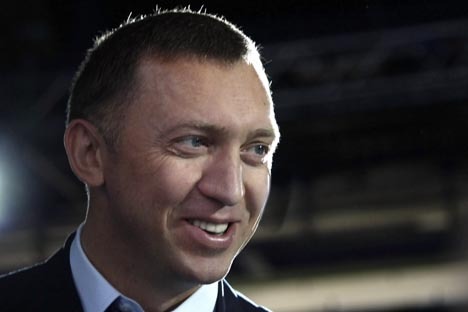 According to Russian business media, Oleg Deripaska, owner of aluminium giant UC Rusal, became the highest-paid Russian chief executive in 2009 with 885.26 million roubles (about $30 mn) in salary and bonuses. National Media Group chairman Alexander Rodnyansky was second with 831 million roubles ($28.5 mn); Lev Khasis, the owner of X5 Retail Group, Russia’s largest retail company, took home 545 million roubles ($18.7mn); Vladimir Strzhalkovsky, general director at mining and metals group Norilsk Nickel, was ranked seventh with 136.33 million roubles ($4.7 mn); while Gazprom CEO Alexey Miller is 10th with 111.3 million roubles ($3. 8 mn). The financial crisis has shown that a company’s financial performance is not always the only deciding factor. “Our bonus programme is directly linked not only to budget priorities, but it also affords an opportunity to be rewarded for one’s personal contribution towards achieving certain priority business goals set by each structural division of our company," says Marina Storozhenko from the Pronto-Moskva media holding company. At times, bonuses are a tool to retain a highly valued specialist, or are evidence of the management’s attitude towards an employee. “Only rank-and-file employees, mostly in state-owned companies, got them in 2008. Private-sector managers – and far from all of them – saw their bonuses return only at the end of 2009.” He expects that 80–90% of managers will be paid bonuses for 2010 from among those who received them in 2007. Some Russian companies, however, prefer to turn to the so-called 13th salary – an annual bonus copycat, whereby an extra month’s salary is paid, most often to regular employees, at the end of December.